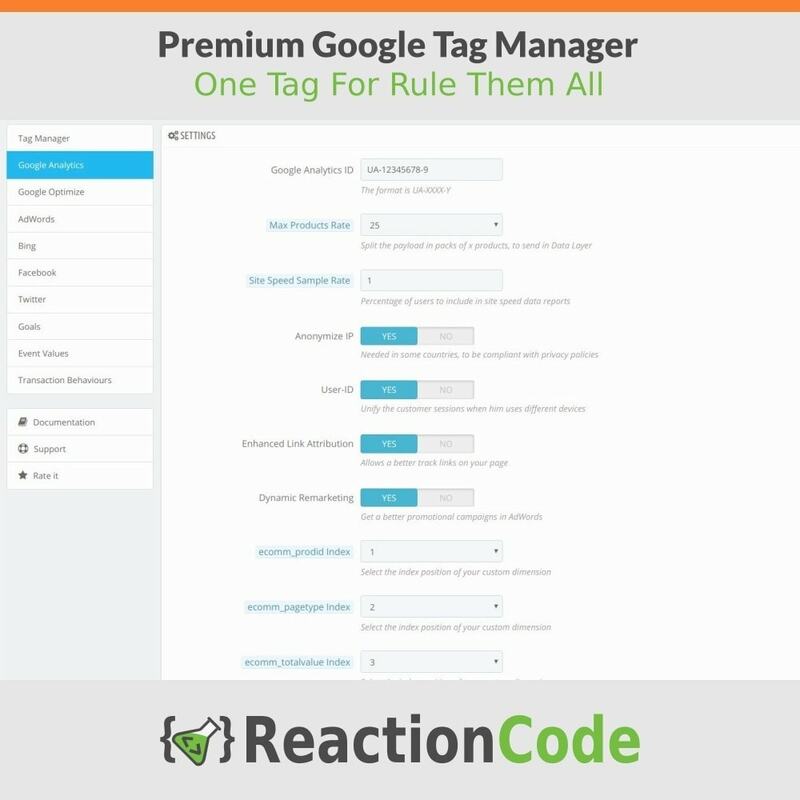 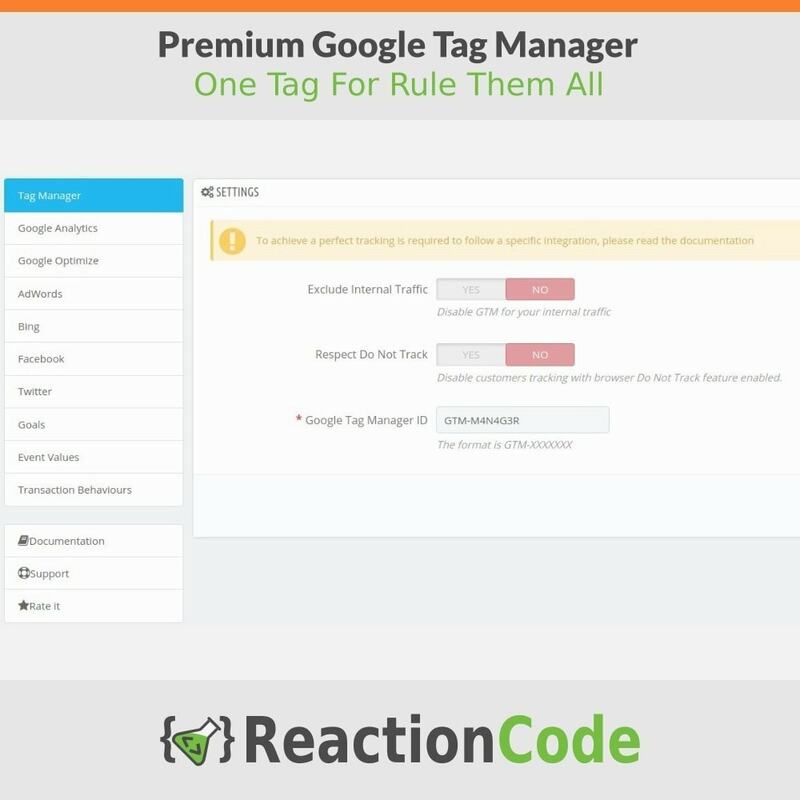 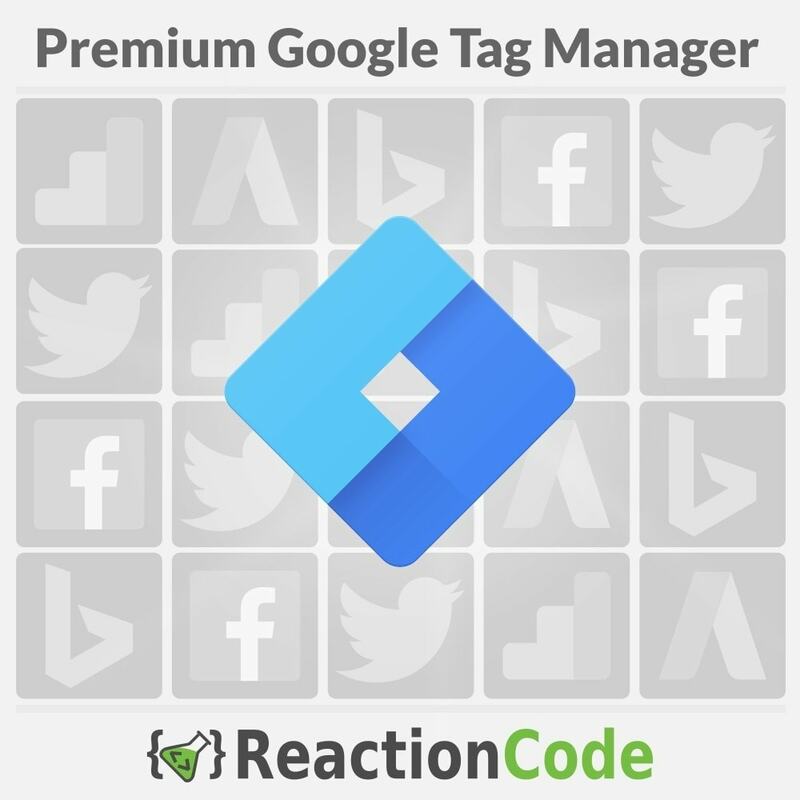 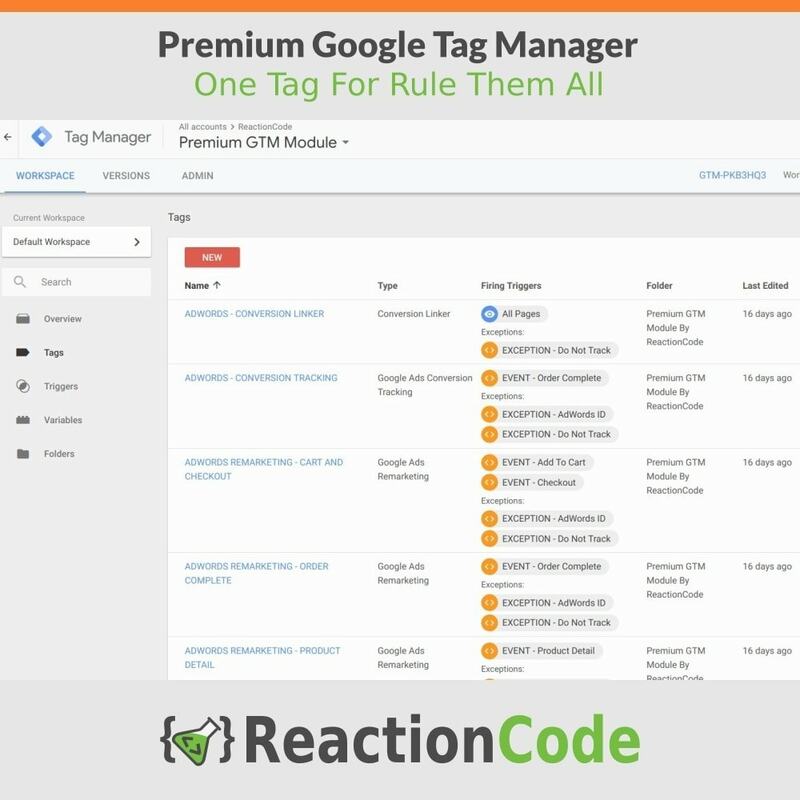 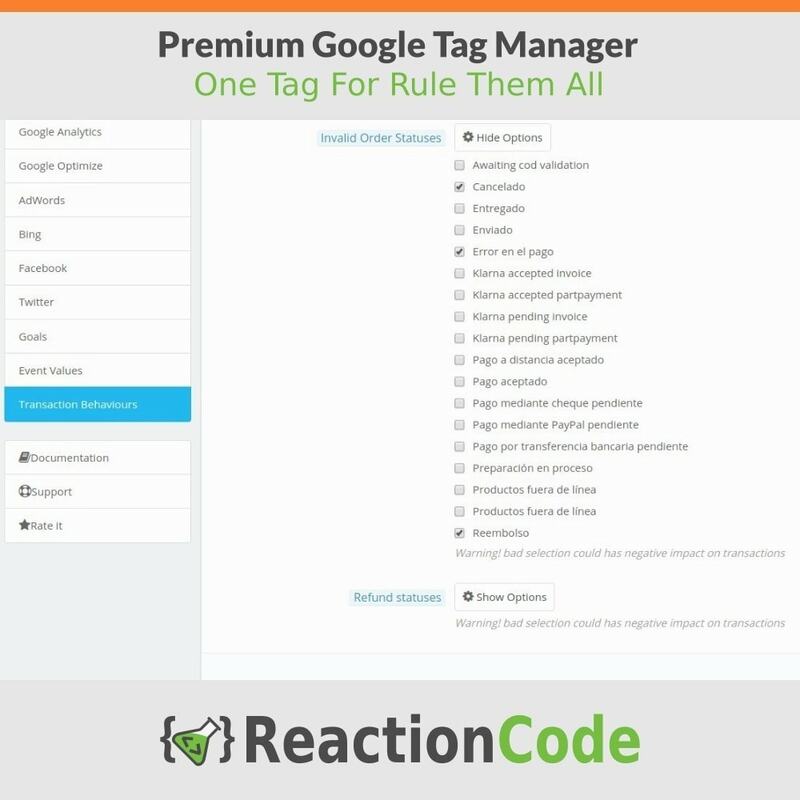 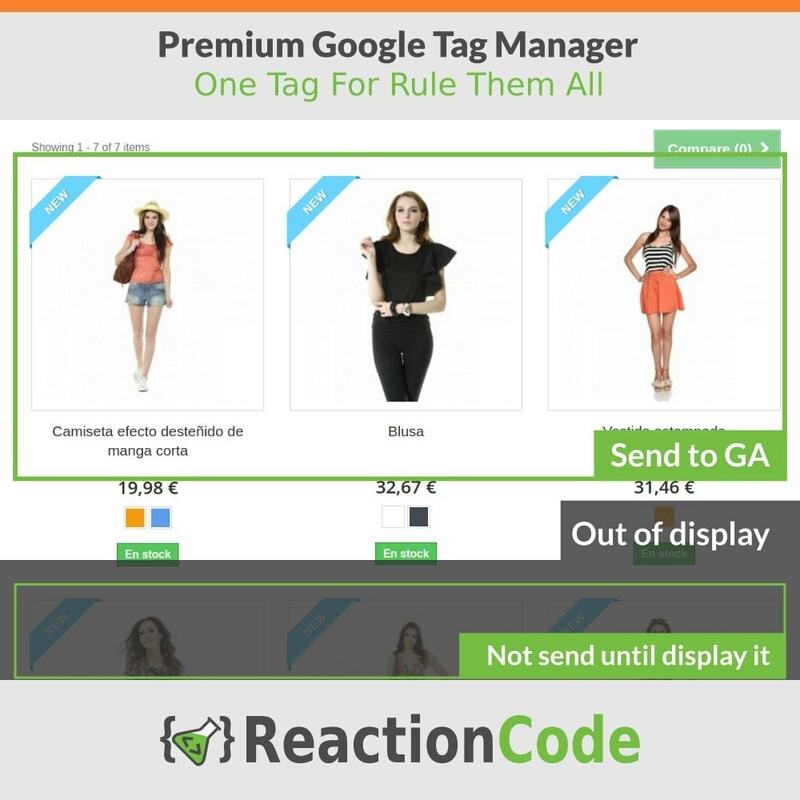 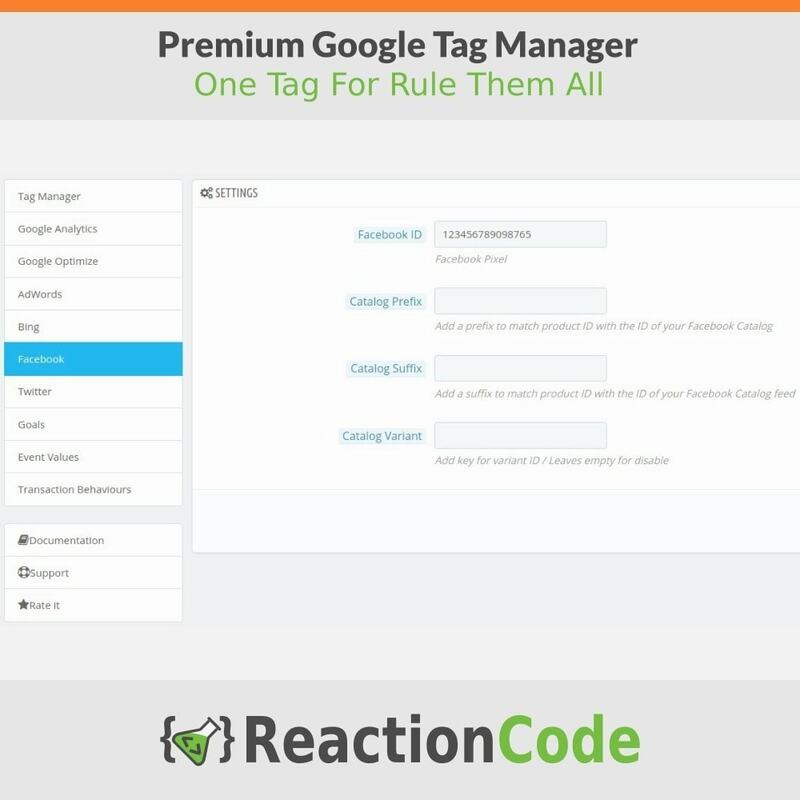 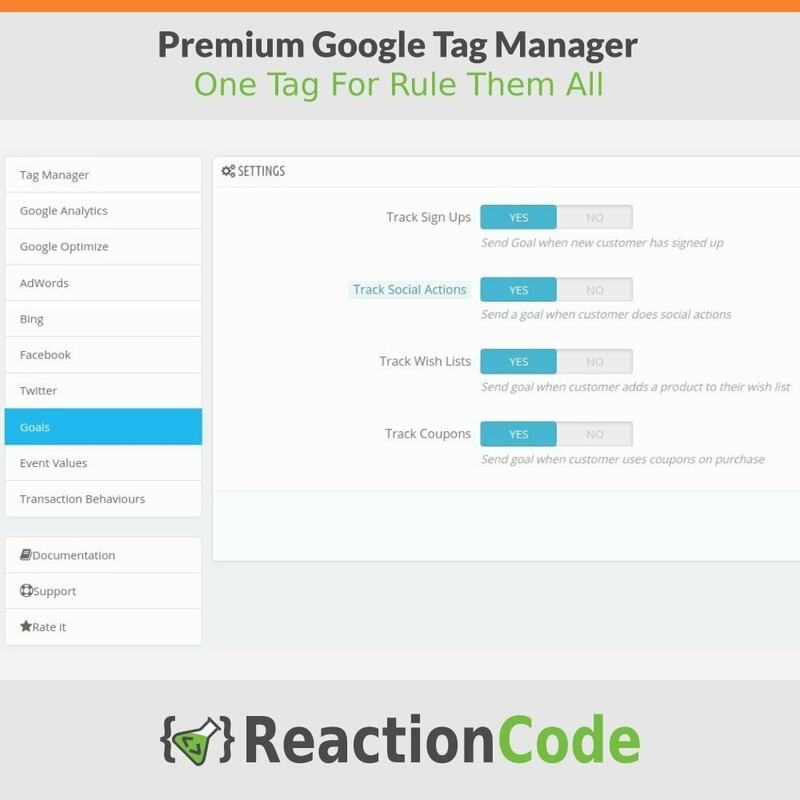 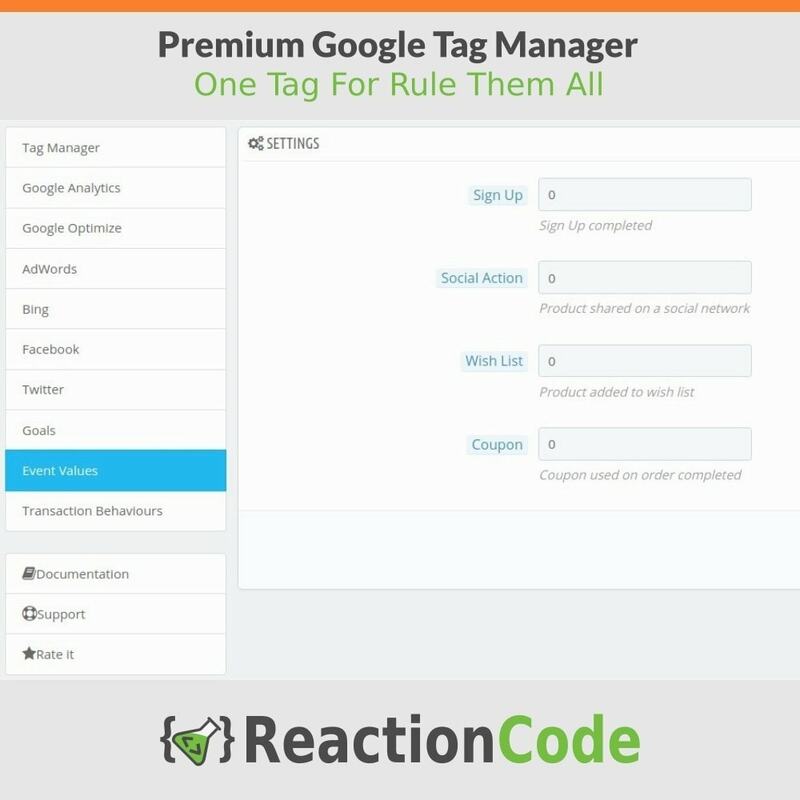 The most complete module to integrate Google Tag Manager in your site. 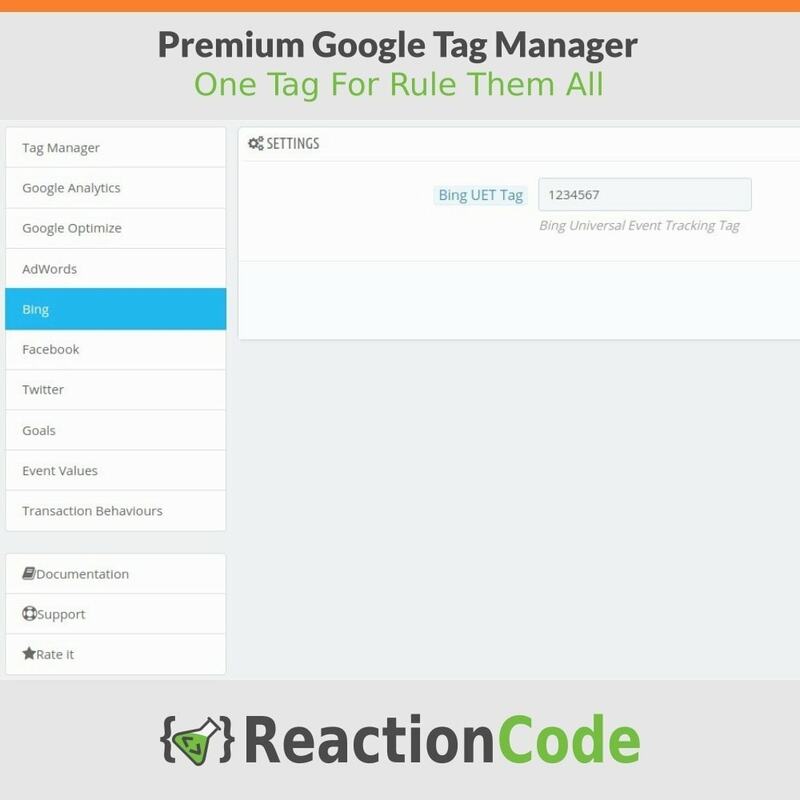 One tag for rule them all. 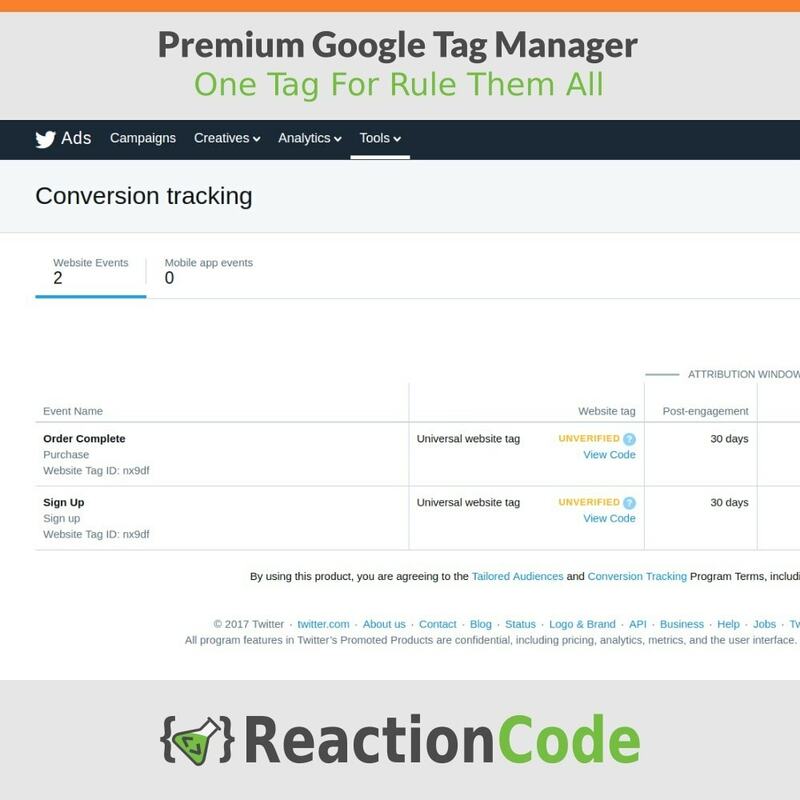 This module includes all features of the awarded module “Premium Google Analytics Enhanced Ecommerce” and expand its functions with other tracking platforms such as Bing Ads from Microsoft, Facebook and Twitter. 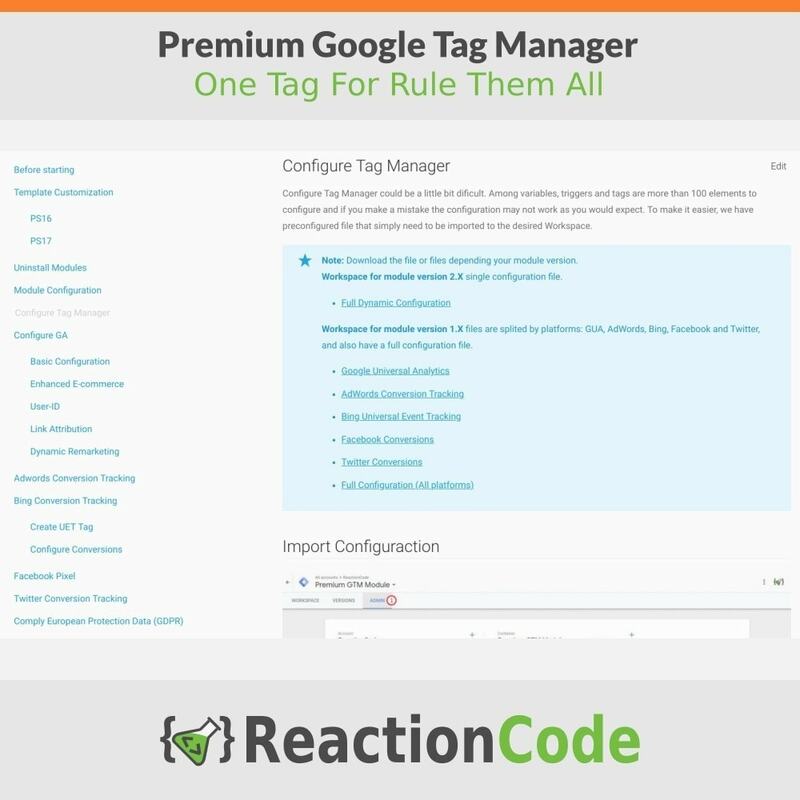 You will find at online guide a file to import a professional configuration with more than 100 elements amongs Tags, Triggers and Variables. 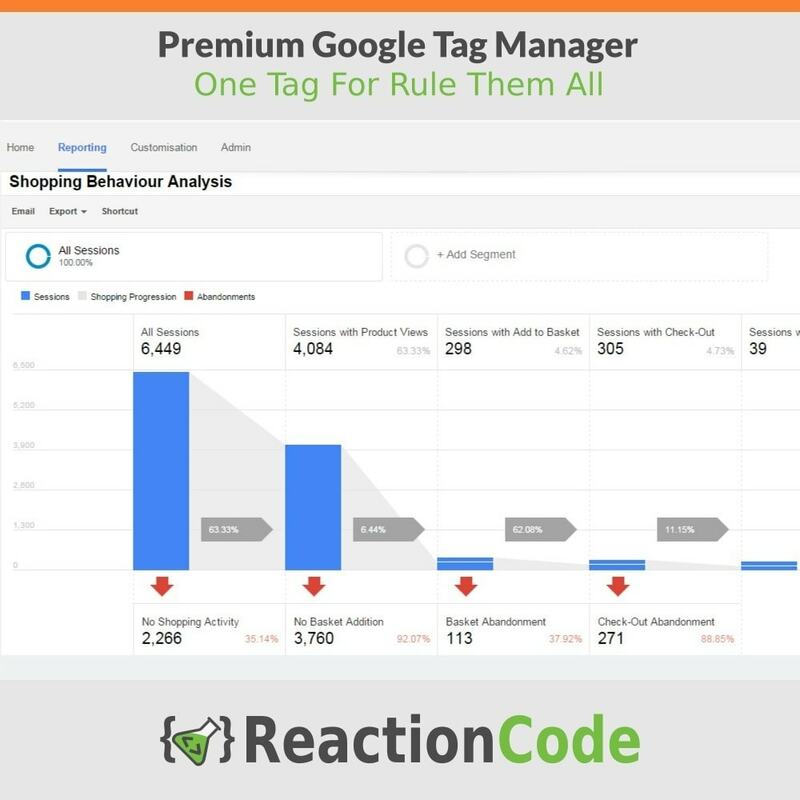 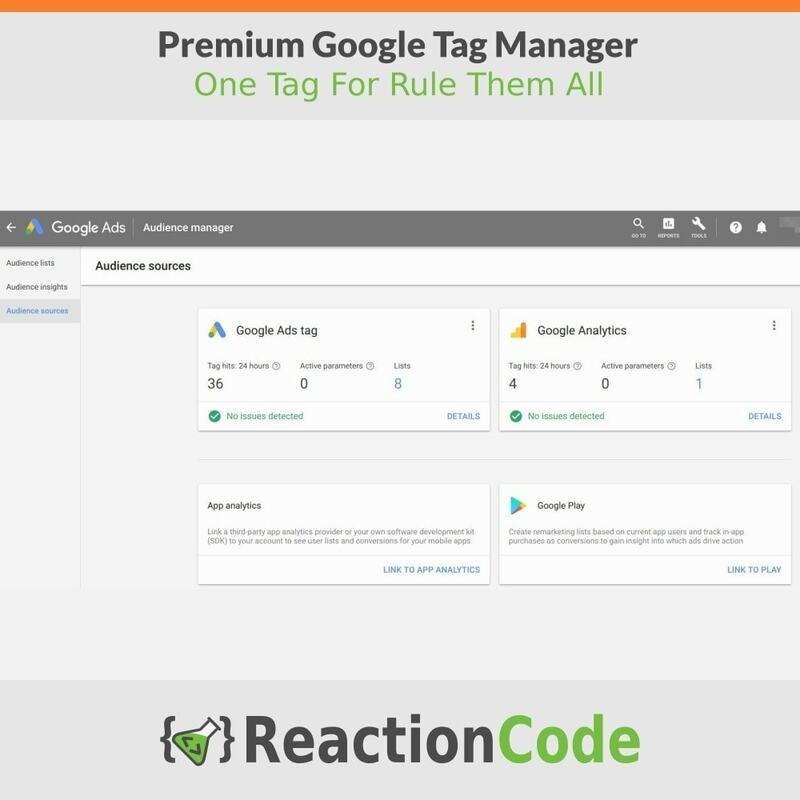 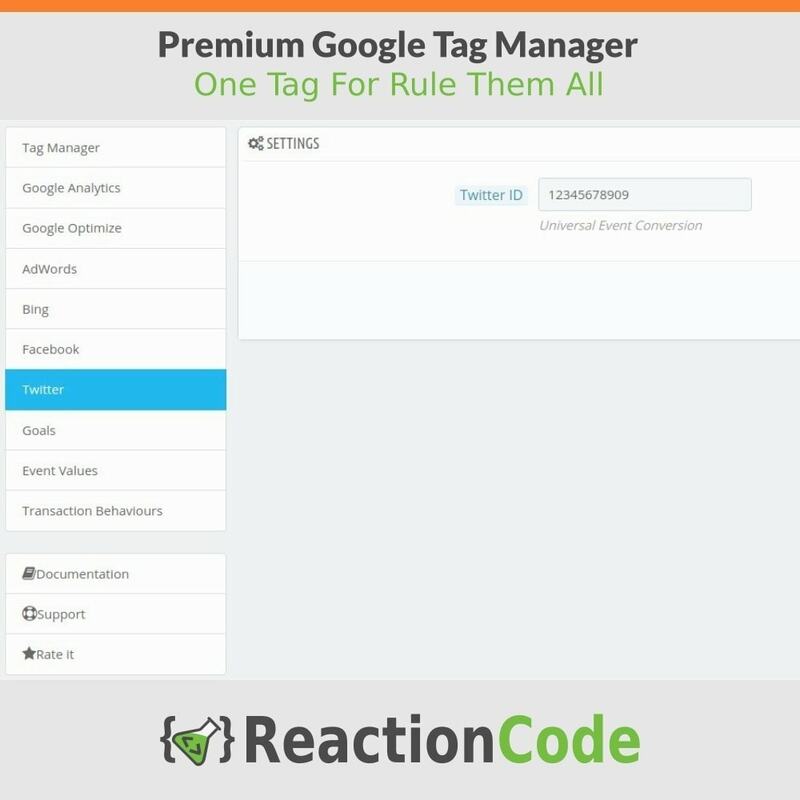 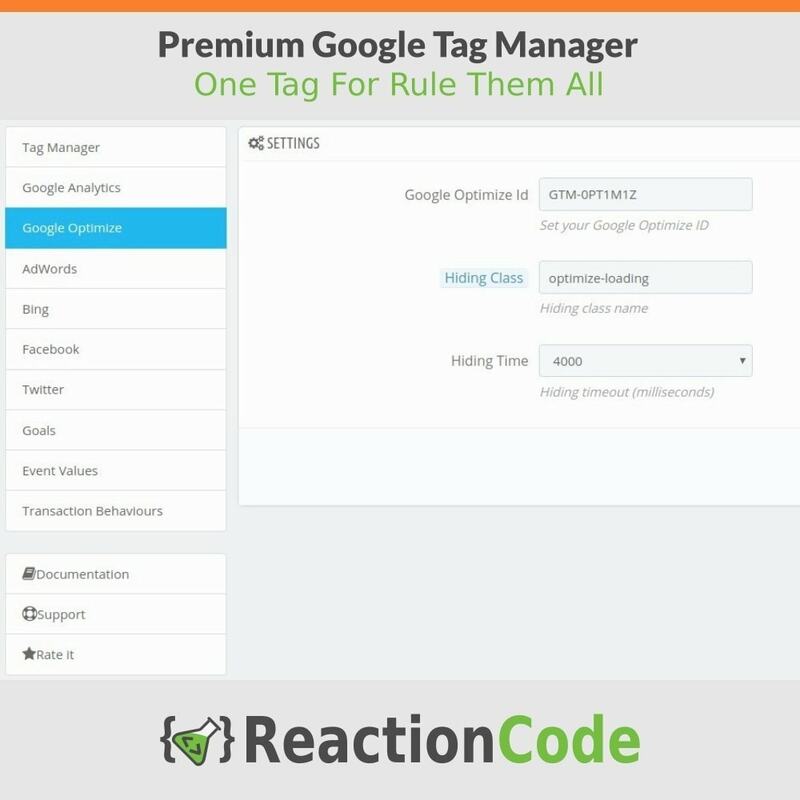 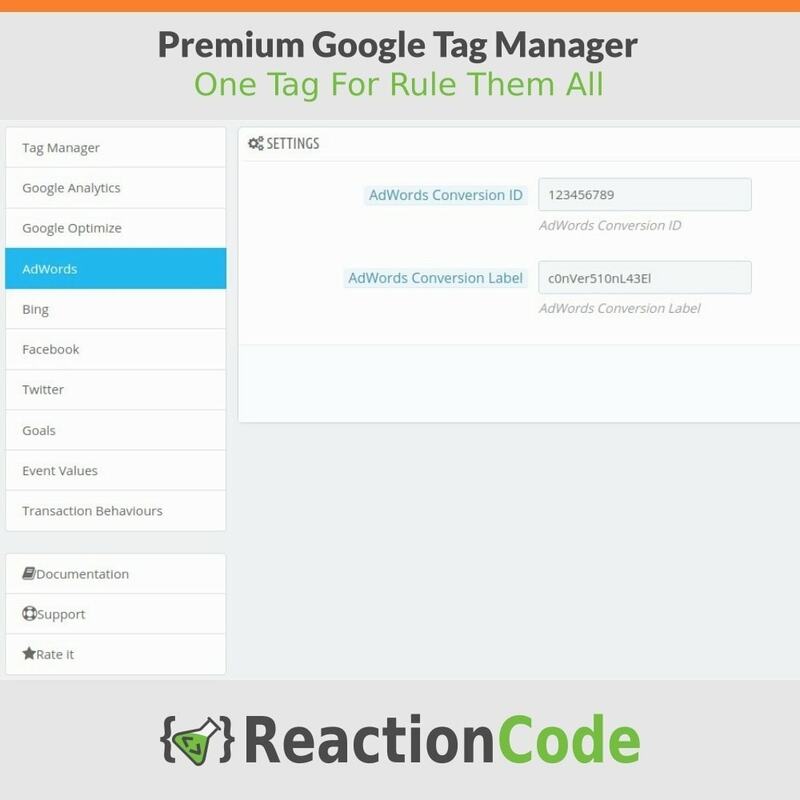 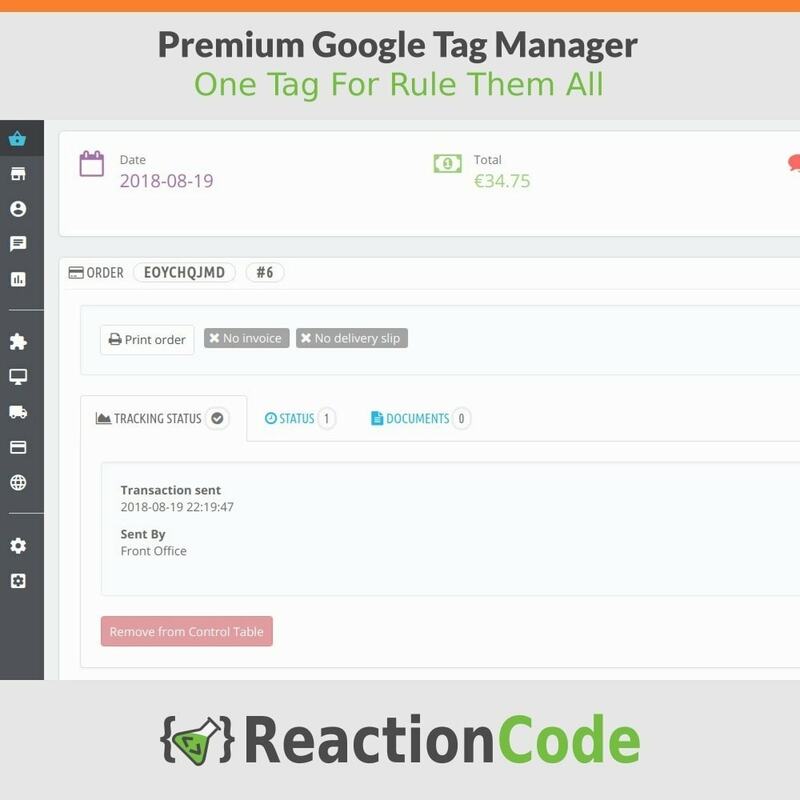 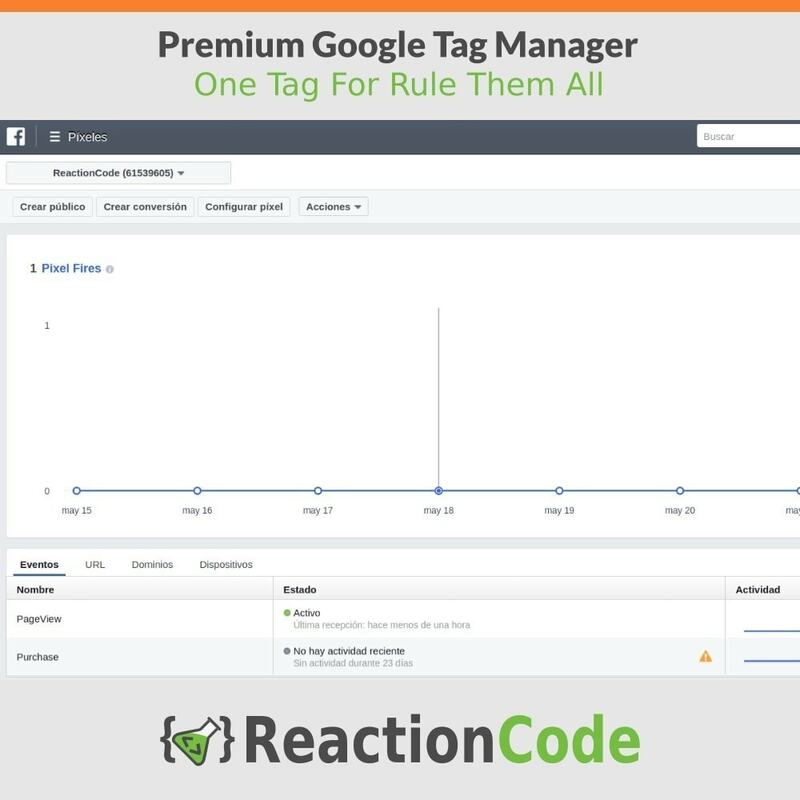 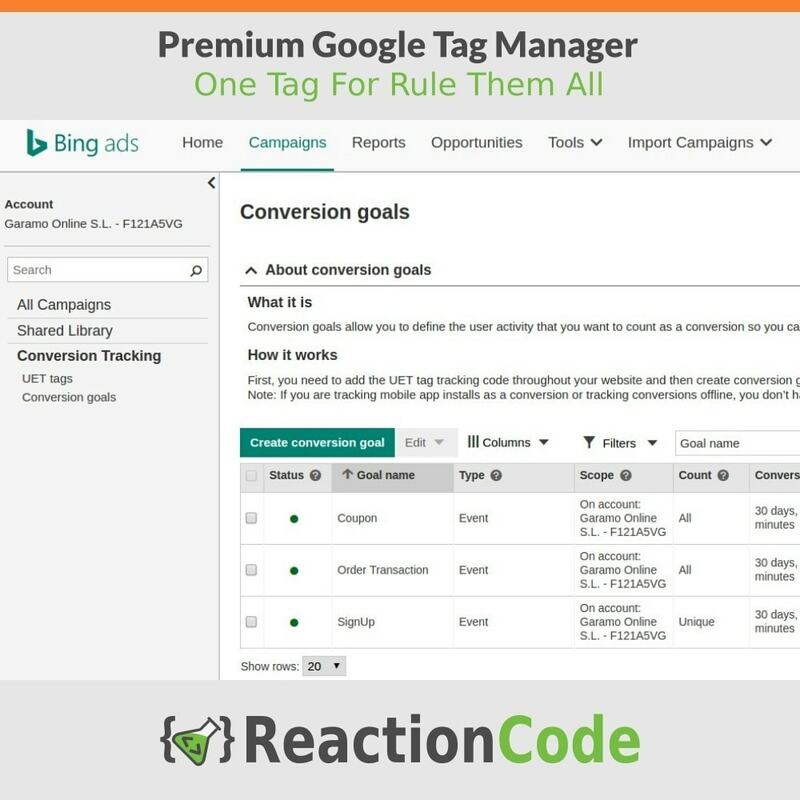 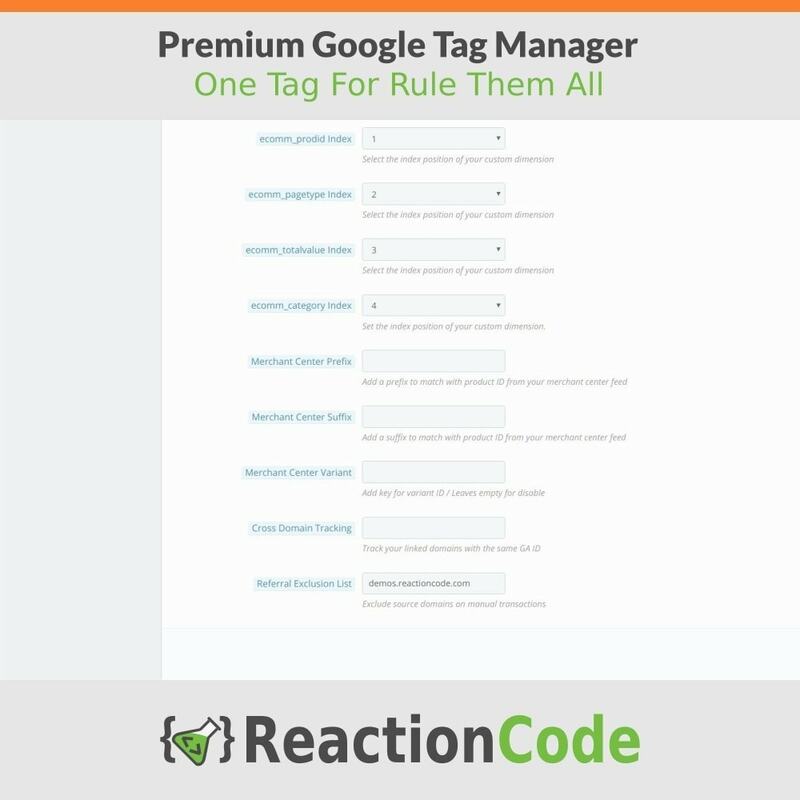 On each event generates a detailed data layer that allow you create new tags on Google Tag Manager to handle your own tracking requirements like custom pixels for affiliate platforms.